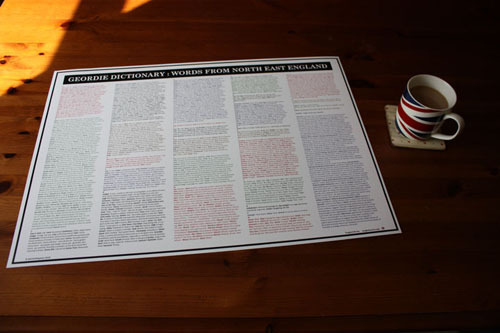 Learn the Geordie dialect and speak the Geordie accent with words from North East England. Here are Geordie words beginning with U, V, W , X (well we tried), Y and Z . Up a height: In a rage, becoming emotional, angry etc. Vennel: A narrow alley in Durham. Wag: Playing the wag is playing truant. Warrn’d: Aw warrn’d – I suppose. Wey: Geordie spelling and pronunciation of the interjection “well” as in “wey ye knaa” (well, you know) or “wey-aye” (well yes). Often also an expression of disdain “Wey its nee use at aal”. Wey-Aye: An emphatic exclamation of reply meaning “Well Yes, of course!” occasionally coupled with the word ‘man’ as in the perceived archetypal Geordie phrase “Wey-Aye Man” that is most often overused by novice Geordie imitators. Whe : Who. Now often mockingly associated with Sunderland as in the phrase ‘whe’s keys are these?’ but evidence particularly from old songs shows it was prevalent in Tyneside too. Whisht ! 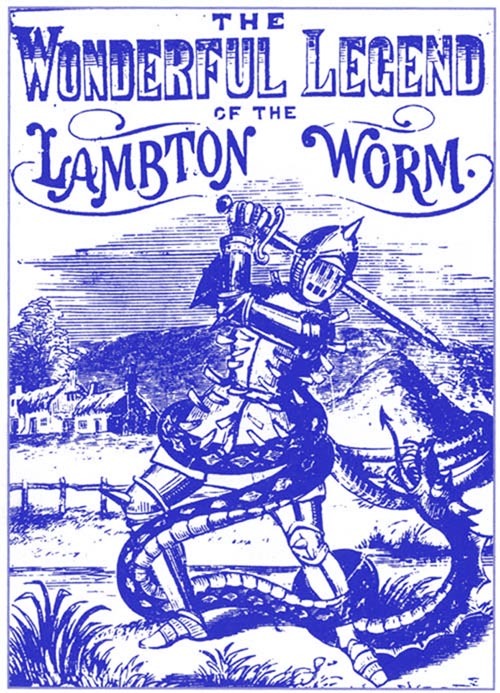 : Be quiet See the Lambton Worm. Why-Aye: Misspelling and mispronunciation of Wey-Aye or Whey-Aye (See Wey-Aye). Wife: A woman, whether married or not Wife was used in this sense by the Anglo-Saxons. Wor: Used mostly on Tyneside and usually pronounced ‘wuh’. The word originally meant ‘our’ and that is still the predominant use. ‘Wor lass’ means our missus (my wife, my girlfriend) when a chap is referring to his partner. Wor has become more versatile and can also mean me/us. ‘Are you coming with wuh?’ Are you coming with us/me. Wor is from the Anglo-Saxon word ‘oor’ meaning ‘our’ but the w has crept into speech naturally. In Scotland they use the older pronunciation ‘oor’ as the Scots are generally – and ironically – much more fluent in Anglo-Saxon than the English. Workie or Workie Ticket: Someone trying to cause trouble or annoy by working their ticket. A wind-up merchant. Worm: Pronounced ‘warm’ on Tyneside. A dragon, or wyvern as in North East legends like the Lambton Worm, Sockburn Worm and Laidley Worm. It is either Old German – wyrm, wurm or Scandinavian – orm – (without the w). Wot Cheor: Hello – a greeting. Wynd: A narrow street in Darlington or Yarm. Also found in towns in Scotland. X: Eggs (ex). Aw knaa, mebbees not but it seems a shame to leave the X oot. Probably shouldn’t include this – unless laid be a clutch of straa hens. Hoo aboot ex for axe as in ‘ask’ in Ashin’ton tho or mebbees a posh Geordie? Aw knaa. Aw’ll keep trying but. Yakker: A worker usually a pitman. Ye / Yee: You or your. Zebra: Dress code for a regular gathering attended by 50,000 paying guests in Newcastle on Saturday afternoons. Me on my own. I know it’s very sad isn’t it? Very nearly asked a girl out on a date but I didn’t. I know, this is becoming sadder by the minute. Shhh! be quiet! Yes of course I was with my girlfriend. Ask for eggs in the market. Probably not in the Bigg Market though, ye might get dunshed. A well-known toon tradition that can end in joy or heartache for the participants and spectators alike. Geordie’ dialect origins | Origins of the term Geordie?